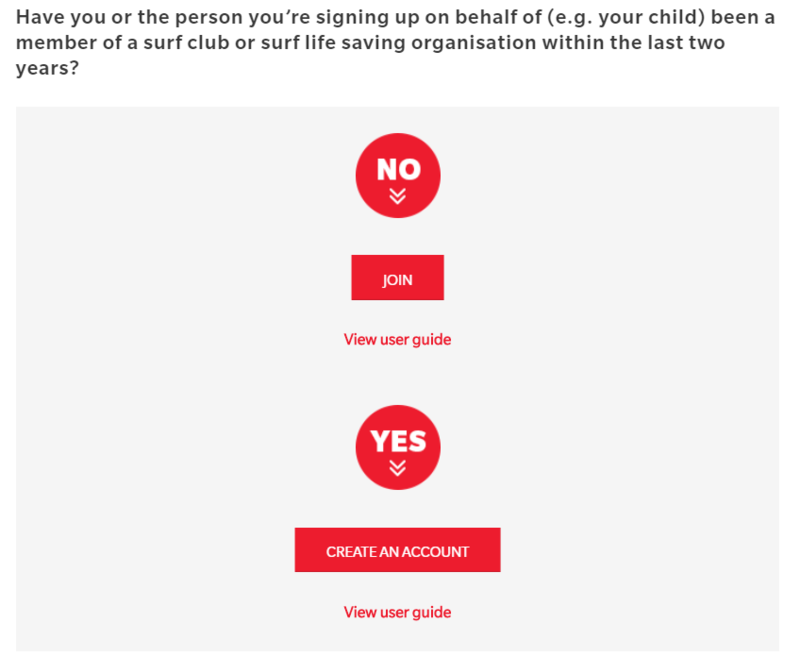 You can become an active life saving member from the age of 15 through obtaining your Bronze Medallion. Junior lifesavers can join the Nipper program from the age of 6. Parents of Junior and Active members, and supporters of the club can join as Associate members, or through Family memberships, from the the age of 30. Note that all members 18 and over need a current Working With Children Certificate – for more details and how to obtain a WWCC, refer to our WWCC page. 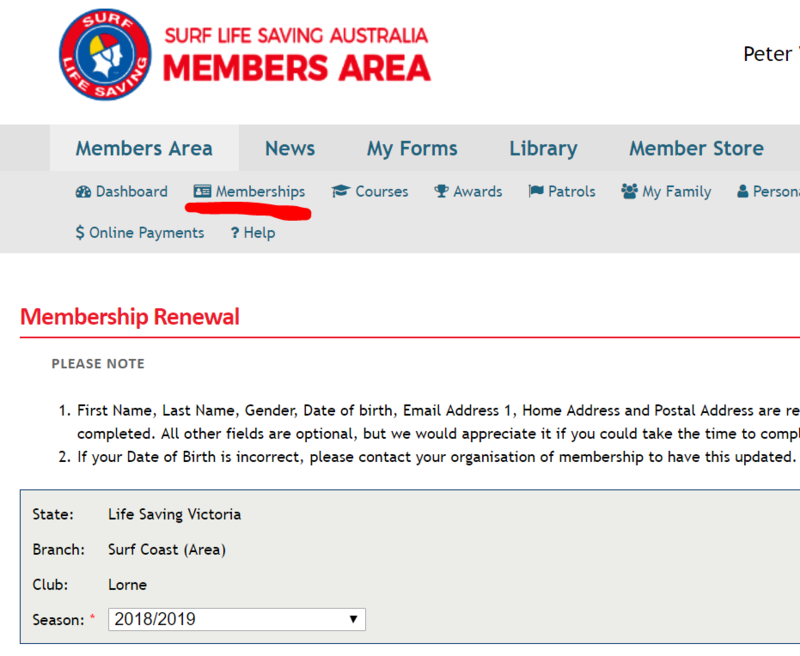 You can manage your surf life saving account and book and pay for items online using the Surf Life Saving Portal. 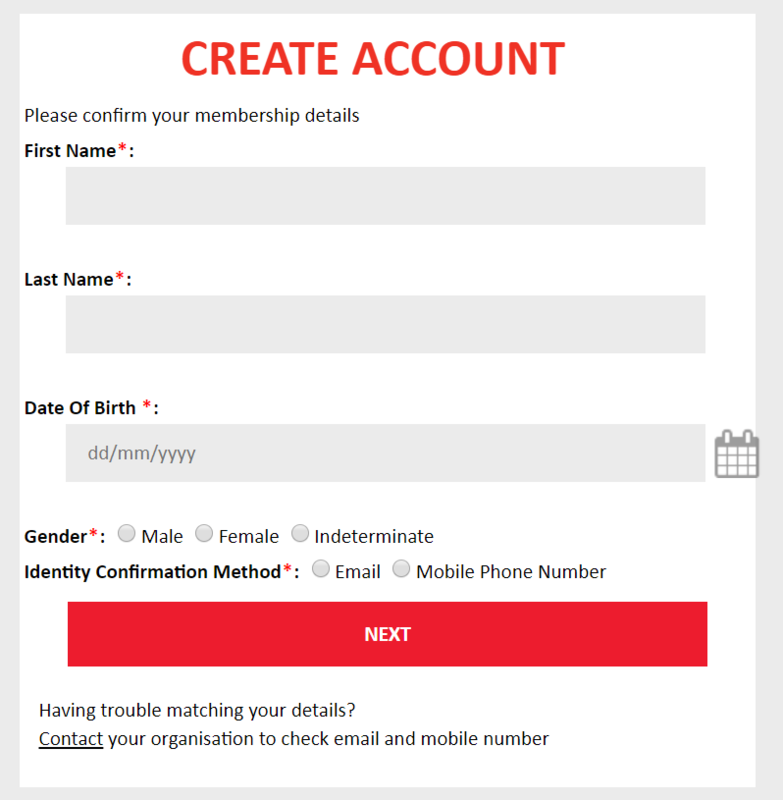 Please Note: If you are joining more than one family member you can set up a family group to make annual renewal easier. Refer to the SLS Portal User Guide for details. Complete this section if you are a new Lorne member. How to make a payment for membership or anything else. 3. Select the type of payment and enter a description and your credit card details to complete your payment(s). 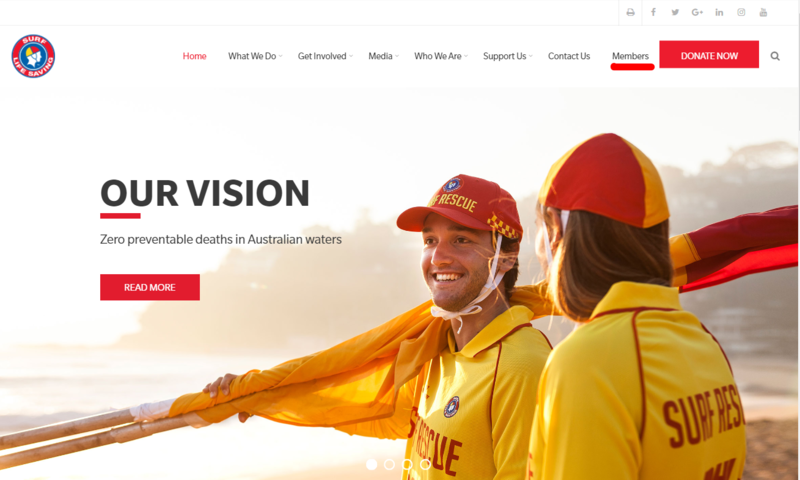 The Lorne Surf Life Saving Club participates, conducts and competes in many events and initiatives throughout the calendar year, which all contribute in some way to the Club’s main pivotal role of providing a safer beach environment to the public. The Lorne SLSC Nipper Program runs for 2 weeks, starting each year just after Boxing Day. Not only is nippers a fun way for your child to enjoy the beach in a safe environment, it also offers children an educational pathway through the delivery of the SLSA Junior Development Program. This program is designed to ensure children have fun at the beach while participating in activities that will progress them to becoming a fully rounded participant in both lifesaving and sport. The Cadet program offers students that are too old for the nipper program (13-15 yrs), the opportunity to develop skills in first aid, communications, surf awareness, surf skills, resuscitation and leadership development all within an enjoyable environment. The program encourages our youth to take a proactive role in the creation of a safe and sustainable beach environment, while in turn promoting a healthy image of our young surf life savers of today. Active members (both junior and senior) are eligible to compete at all surf carnivals scheduled over the summer season. As a pre-requisite for all active members, they must carry out a minimum of 16 hours patrol each patrolling season (Nov-Apr). Active members are the forefront and future of our club as they play a huge role in running club events such as the P2P and M2S, and represent our club at state, national and international competitions. Active reserve and long service memberships are granted to members who have being patrolling and/or competing for the club for a long period of time (min 10 years). All active reserve and long service applicants must be approved by the Committee in order to be granted these awards. Associate members must be 30 years of age or older. All associate members are invited each year to Associates Night which is always held on the Wednesday prior to the Pier 2 Pub. Our associate members play a vital role in running the Mountain 2 Surf run and a large portion of our loyal supporters and sponsors are also associate members. Associate members do not have any patrolling requirement. If you have 2 or more family members, then our family membership is your best membership option. 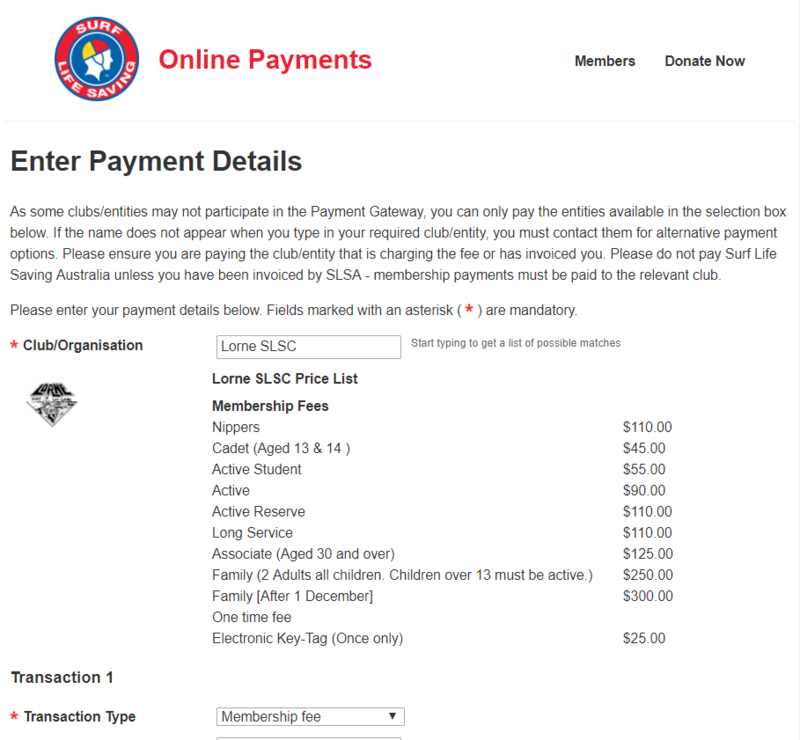 Our family memberships include 2 associate or active adults, and all dependent children. If any children are aged 13 and above, they must be an active member. 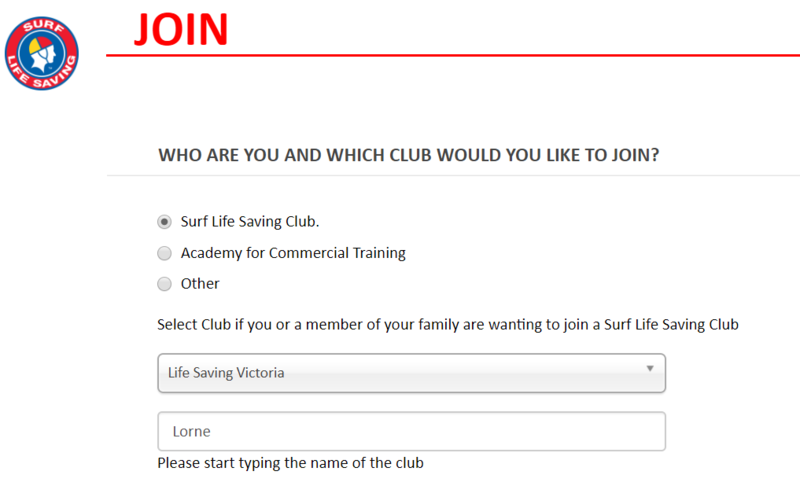 The family membership also includes entry into the Lorne SLSC Nipper Program for children aged under 13 years.